CEJ filed legal action against the Ministry of Health seeking regulations to control geneticalli modified food. As a result Modified foods lebelling was introduced since January 2007 in Sri Lanka. Do you check the label? Tell us if you suspect any food contain genetically modified material. 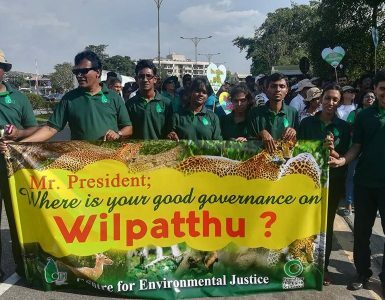 Cej participation for Together for Wilpattu on 14th December 2017 at Colombo.